NEW YORK (AP) — In a story Sept. 11 about a fashion show put on by Studio 189, The Associated Press reported erroneously that Studio 189’s clothing line was called Fashion Rising. While it was once called that, it now goes by the name of Studio 189. 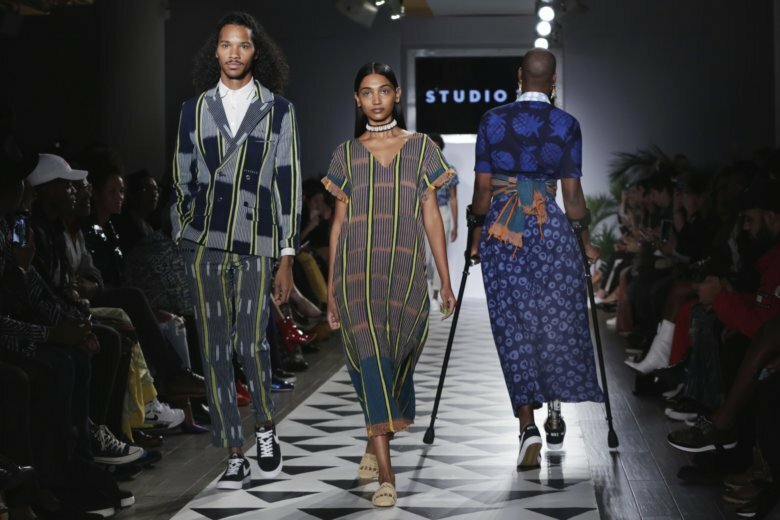 NEW YORK (AP) — The Ghana-based Studio 189, co-founded by old friends Rosario Dawson and Abrima Erwiah, threw a runway celebration Monday at New York Fashion Week with African dance, an Aretha Franklin tribute in song and a show alive with African-made and inspired designs worn by a wide range of models, from the pregnant to the not-yet grown.